- Visit Musee D-Orsay not the Louvre. Amazing work showcased (lots of impressionists), not as busy, and museum building is a conversation itself. Bed and Breakfast Maguy Merran AirBnB Paris, France $0.00 2 nights. $106/night. "Great transport service, with two metro lines and three bus stops within 5 minutes walk, connecting you to many places in Paris: Metro line 9 to the Champs-Élysées and the Trocadéro. Metro line 8 to Opéra shopping district and to Place de la Concorde. Bus 76 to the Louvre, the modern art museum and exhibition centre Centre George Pompidou, and the trendy Marais district. Bus 86 to Saint-Germain-des-Près, fashionable Rive Gauche district. Bus 56 to Place de la République, train stations Gare du Nord and Gare de l'Est. Easy and affordable access to and from both Roissy-Charles de Gaulle and Orly airports via train or bus. If you are coming from Beauvais airport into Paris via Porte Maillot, the apartment is a 30 minutes metro ride away. Easy and quick access to the four main railway stations of Paris: Gare du Nord (Eurostar), Gare de Lyon, Gare d'Austerlitz and Gare de l'Est, by metro or bus." We are staying at an apartment on Rue Chanzy in Paris that I found through airbnb. It is wonderful, although, it wouldn't have been very good if we didn't pre-assemble our bikes at the airport. It is pretty much a regular apartment building. Hefting those huge boxes around wouldn't have been much fun. Turned out to be a good thing, in so many ways, that we could build the bikes at the airport. Disposing of the boxes would have been just the start of our worries. How to get them actually upstairs would have been a disaster. We probably wouldn't have been able to do that. We probably would have had to assemble them in the foyer of this really classy, peaceful apartment building. I would have felt like a complete schmuck. 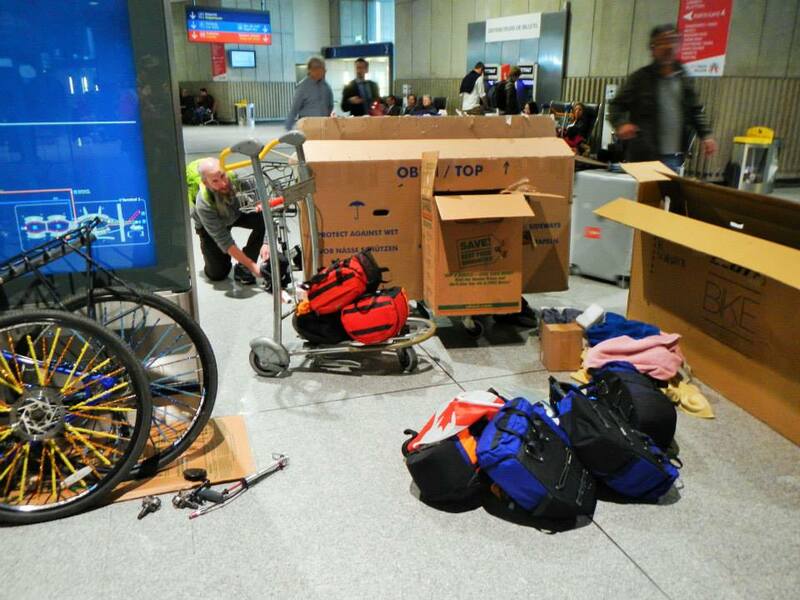 Instead, I just had to feel like a complete schmuck assembling our bikes in a busy international airport! I had it in my head that, if possible, I would like to assemble the bikes at the airport. That way we could either ride, or take the LRT, to where we're staying. It wouldn't have been possible with the bikes we'd used when we went to Australia. They were smaller, and so the bikes had to be torn down quite a bit more to go in the boxes. This time we had mondo boxes and the bikes didn't have to be very disassembled to fit in. When we go to the airport, I asked airport information if there was a place we could dispose of the boxes anywhere at the airport. It took a bit of "frenglish" and a few charades to get the point across, but in the end, she made a call and then instructed us to assemble our bikes right there, leave the boxes by her station, and the janitorial staff would come by and remove the boxes. Wow! That worked brilliantly! Then, because all I'd had to eat so far was a bit of yogurt with coco puffs in it, we took a cab to the BnB instead of riding or LRT. Good thing because it started to rain soon after we left the airport. 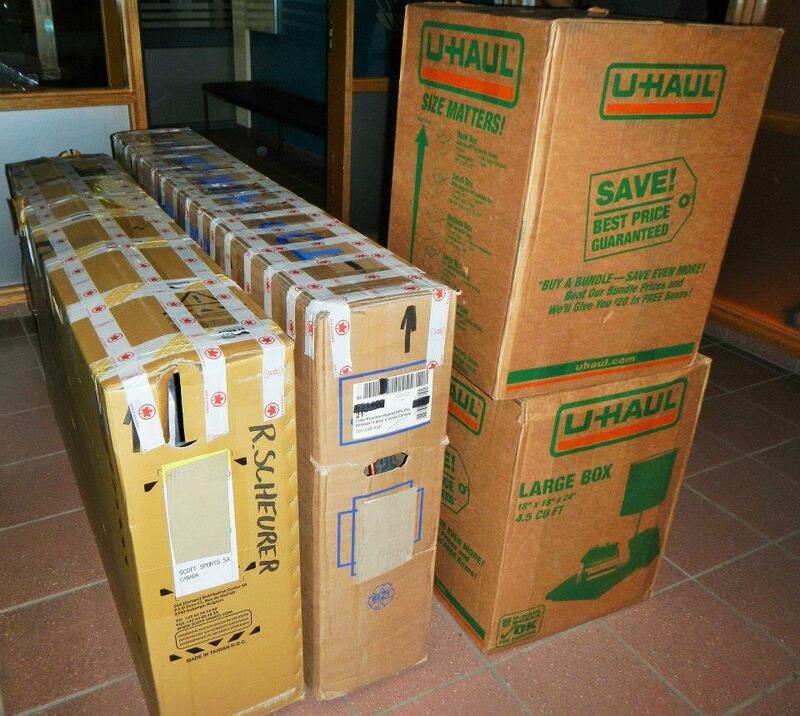 If we'd had to transport our bikes in their boxes via cab, we would have had to use a special oversized cab for that. Since the bikes were assembled, we got in line for a regular old cab (minivan). The driver didn't speak (much) English, and was doubtful that the bikes would fit (and reluctant to try), but eventually he folded some of the seats up enough that all of our stuff fit in nicely. He was a good guy, but a little distracted. At one point, he was zooming along fairly fast. Brent was looking away, and I don't know what the cabbie was thinking, but I know it wasn't the road ahead of us, because "the road ahead of us" was actually traffic stopped at a light. Just in the nick of time, someone (ahem) yelled WHOA WHOA WHOA WHOA and the cabbie stopped us just before we rammed into the back of someone. At least he thanked me for it rather than treating me like a backseat driver! We had to get up at 2:30AM to drag out bikes up from the hostel storage and get ready for the bus that was going to pick us up at 3:30AM to go to the airport. Thankfully, departures at Keflavik is a lot easier than arrival (at arrivals you have to go down a steep spiral ramp - imagine that with one cart each with a packing box and a bike box perched on top of the packing box). Yeah, it was pretty. 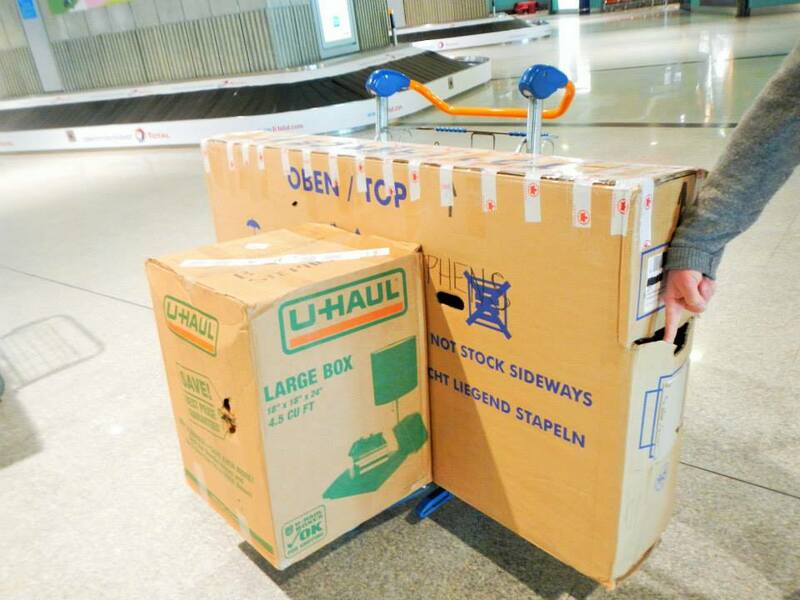 Anyway, arrivals was easy, and unlike at YEG, KEF's oversized luggage scanner is big enough for the bike boxes to go through, so in no time at all we had shed ourselves of the baggage burden. Iceland - $10 potato chips and no fat people. Coincidence? I think not. Iceland airport - not for the agoraphobic. Almost no waiting lounge seats - everyone just waits around in the hallway. Flights being boarded on both sides. There are very few auditory announcements. Boarding announcements are made on the flight signs only. The best thing about Icelandic washrooms? They're called Snyrtingar. You know... for when you need to snyrt! Of course it makes perfect sense... I arrive in downtown Paris, ravenous from a long wretched day fueled only by a paltry portion of yogurt with coco puffs in it... and none of the restaurants start serving dinner until 7:00 or later. Brent and I settled for having a beverage (which went straight to our heads) and then buying some groceries to make our own dinner of some "rug bread", cured meat, and three amazing kinds of cheese. "Rug bread" is actually Vollkornbrot, but the way it was labelled in Iceland looked like "rug bread", which just makes so much sense that I will have to call it that for the rest of my life. You can see that the boxes have taken a little damage at the halfway point, but not too bad. There is a new hole punched in one of the moving boxes, and a tear in one of the bike boxes, but overall, not too bad. We've seen a lot worse!